Sept. 28: Next Community Briefing! Join your neighbors, family, and friends for the next Mt. Vernon Manor Neighborhood Advisory Community Briefing! 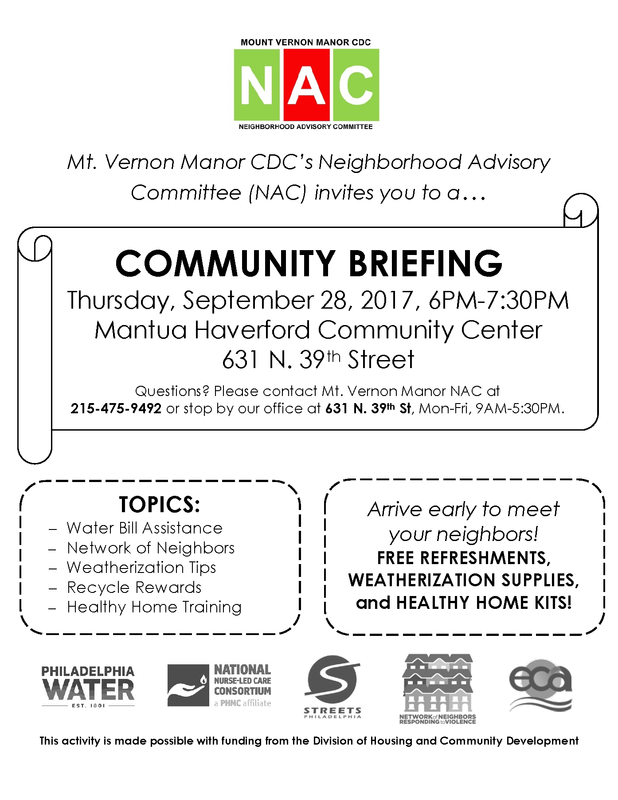 All are welcome to join in on Thursday, September 28, 6-7:30PM, in the Mantua Haverford Community Center (631 N. 39th Street). Check out flyer below for more details! Previous Previous: Do You Need a Free State ID? Next Next: Mantua Greenway Community Build Day!